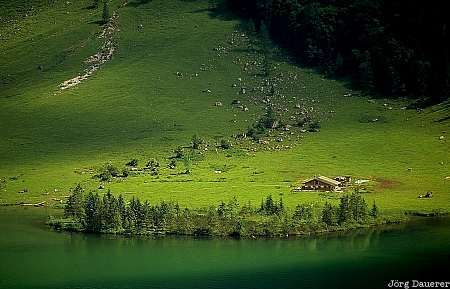 The green alpine meadows at the southern tip of the Königsee in the south-eastern part of Bavaria in southern Germany. This photo was taken in the afternoon of a sunny day in August of 2001. This photo is part of the exhibition The color Green (February 2009).